So I figured I would do some fanart for once rather than just drawing my OCs. So I picked Seras Victoria since she's so fun to draw and because I friggen love Hellsing. I originally meant to draw her in a combat pose but that didn't work out for me so I guess she's sitting now? But as a jpg it was for some reason left on low quality and I've tried fixing it but I'm not seeing the updated upload. 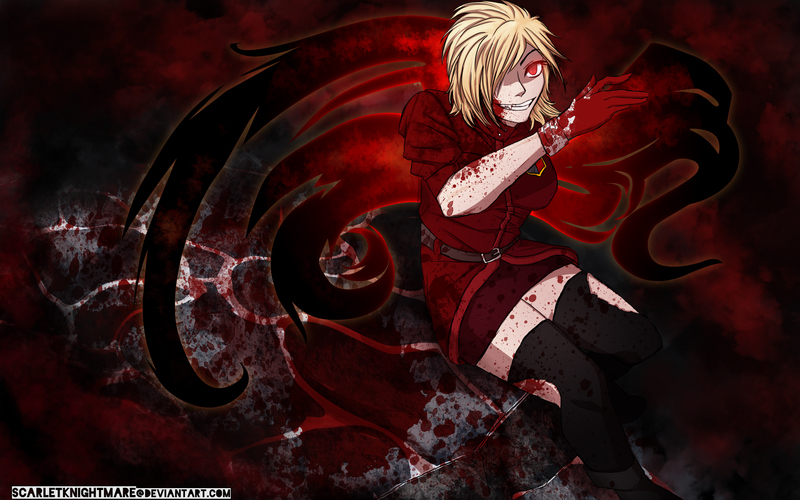 Whoa, haven't seen anything Hellsing in literally years o.O Awesome work, the tribal shape in the background looks neat.